ST PAUL, MINN, January 11, 2018 – Agricultural producers looking to solve natural resource problems on their farms will want to plan ahead and sign-up for United States Department of Agriculture (USDA) funding. Curtis Elke, USDA-Natural Resources Conservation Service (NRCS) Acting State Conservationist in Minnesota, announced that farmers interested in the Environmental Quality Incentives Program (EQIP) National Water Quality Initiative (NWQI) need to apply by January 26, 2018, for funding in 2018. NWQI helps landowners improve water quality while strengthening agricultural operations. 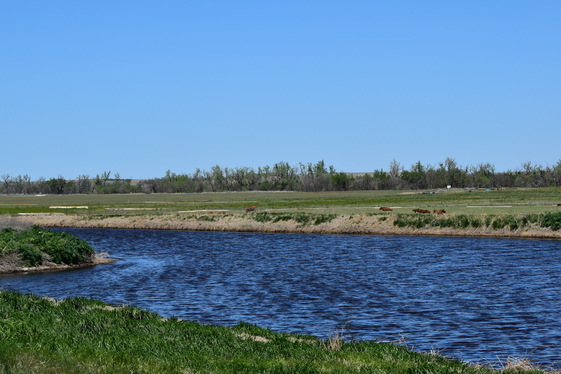 This initiative focuses resources in watersheds most in need and where farmers, ranchers and forest landowners can use conservation practices to make a difference. Through NWQI, farmers, ranchers and forest landowners receive one-on-one personalized advice and financial assistance through the EQIP to address a broad range of natural resource concerns, including water quality. EQIP is a voluntary program that provides financial and technical assistance to agricultural producers. These contracts provide financial assistance to help plan and implement conservation practices that address natural resource concerns and for opportunities to improve soil, water, plant, animal, air, and related resources on agricultural land and non-industrial private forestland. Applications for EQIP are accepted on a continuous basis, however, NRCS establishes application acceptance or submission deadline dates for evaluation and ranking of eligible applications. Contracts will be awarded to producers’ with the highest rankings until funds are exhausted. To see if a watershed is eligible under the NWQI, see a list of watersheds. To learn more about EQIP, contact your local NRCS field office or visit the MN NRCS website.